Limiting mercury and dioxin emissions is a focus of increasing regulation and investment, particularly for coal-fired power plants. Calgon Carbon is committed to helping plant owners and operators meet increasingly stringent environmental regulations in the most economical way possible. 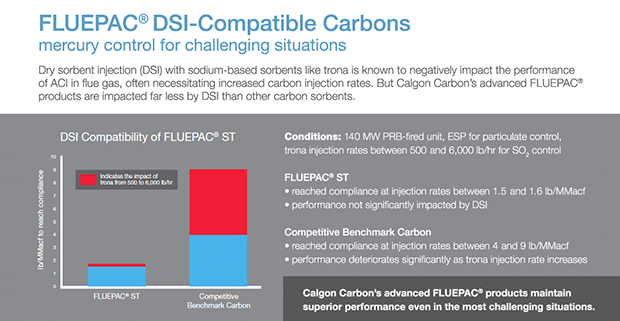 Specially designed to treat a variety of flue gas compositions, FLUEPAC combines high adsorption capacity for many pollutants with exceptional mercury removal rates and low carbon usage rates. 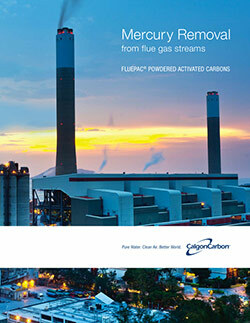 With five patents for FLUEPAC technology from the U.S. Patent & Trademark Office, Calgon Carbon is a proven innovator in the field of mercury removal.